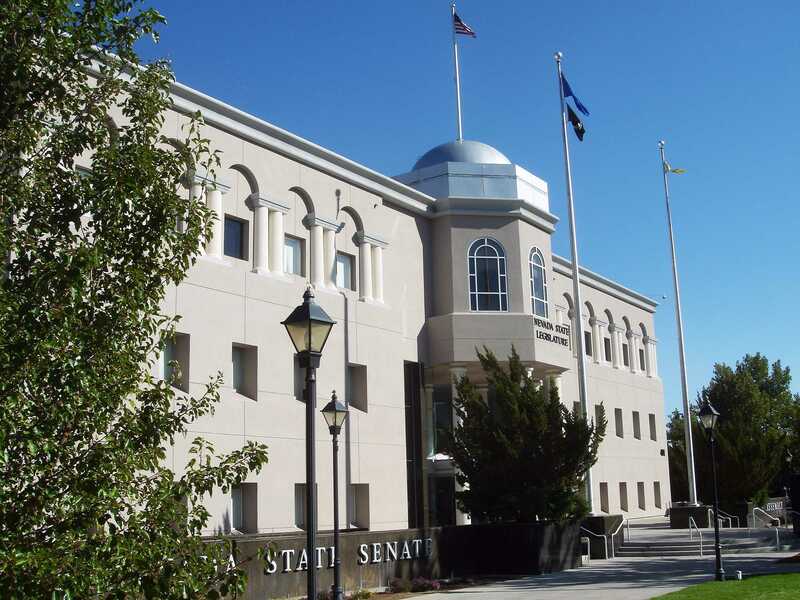 CARSON CITY, Nev. — The Nevada Senate has advanced a resolution that would place on the 2020 ballot the question of whether the state Constitution should be amended to remove language recognizing marriage as being solely between a man and a woman, and replace it with text that essentially states that gender is irrelevant in marriage. Assembly Joint Resolution 2 passed 19-2 on Monday after language was added prohibiting the punishment of pastors who decline to officiate ceremonies that are violative of their faith. Only Republican Sens. Joe Hardy of Boulder City and Don Gustavson of Sparks voted against the resolution. “The fact that we would legitimize discrimination against people based upon their gender and gender orientation, this will go a long way to rectifying that like the equivalent of women having the right to vote or the Equal Rights Amendment,” Senator Tick Segerblom, D-Las Vegas, told local television station KUNR. However, Assemblyman Ira Hansen, R-Sparks, noted in February that the amendment is exclusionary of other types of marital arrangements, such as those who are in polyamorous relationships, as changing the language would only benefit homosexuals and would not be equal to all. “We continue to discriminate against that type of marriage,” he said. John Wagner of the Independent American Party of Nevada told Christian News Network on Wednesday that Democrats are intent on pushing the proposal forward. Wagner has been working to lobby against the measure and testified against it in committee. “Whatever God does is the correct way; what man does—I’m sorry, but they’re not right,” he said. Wagner also noted that Nevada voters have twice approved constitutional amendments recognizing marriage as being between a man and a woman. Nonetheless, Assembly Joint Resolution 2 will now move forward following Monday’s vote. The bill must clear the legislature a second time in 2019 for it to be placed on the ballot in 2020. “So even if you appoint a judge that—,” interviewer Leslie Stahl interjected, alluding to the possibility of overturning Obergefell.